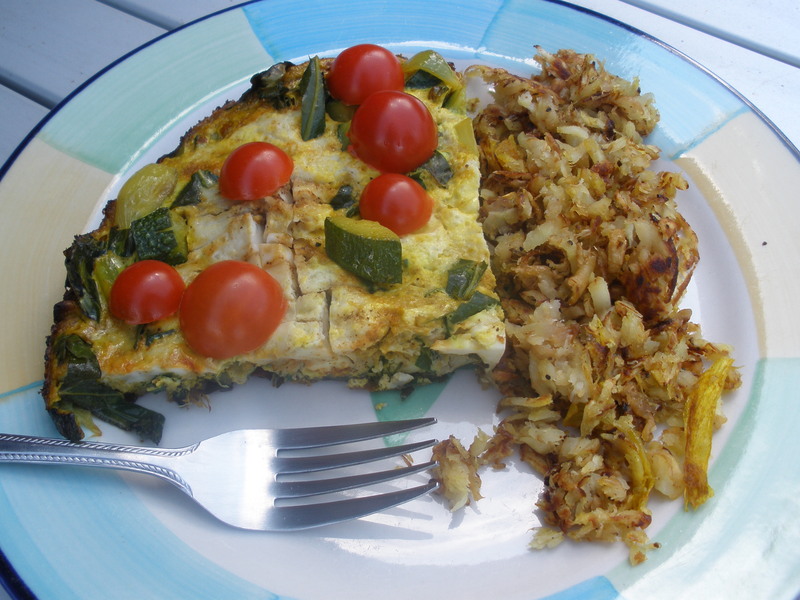 A great alternative to regular potato hash browns! Rinse, then grate parsnips with a grater. Pan fry grated parsnips in pan with olive oil on medium heat. Add salt and pepper to taste. Heat and stir regularly until crispy. Set aside (on low heat to keep warm). In large pan, heat olive oil. Add diced onions, ginger, and turmeric over medium heat. Stir for 2 minutes, making sure the turmeric gets absorbed in the oil. Add diced zucchini and collard greens. Heat for 4-5 minutes until vegetables are medium firm (don’t overcook). To prepare and chop collards, rinse well, then fold from one side of the leaf to the other until you make a tight roll. Cut in thin slices from top of leaf towards the bottom stem. Once you start to get to the bottom, simply cut off leaves and discard the tough stem. Scramble eggs in bowl. Add salt, pepper and a tablespoon of water to make fluffy. 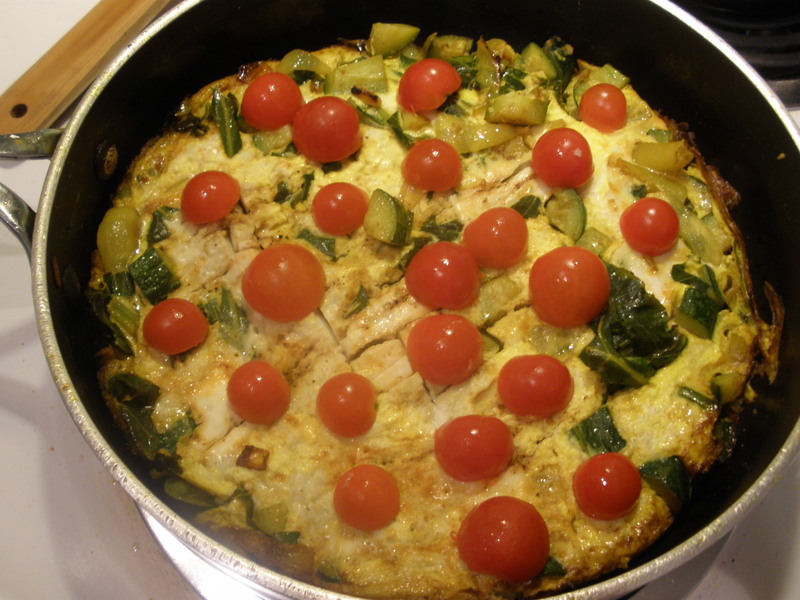 Pour eggs over vegetables in pan. Cover with lid and heat for 5-7 minutes, or until egg is cooked. Run a spatula around the edges to make sure bottom doesn’t get too stuck on the pan. **Can be refrigerated and re-heated in oven at 350 degrees as leftovers.